Google has rolled out free fast speed Wi-Fi stations across Lagos. The Internet giant plans to extend the roll out to four more cities across Nigeria by 2019 as part of its commitments to support Nigerian startups and help grow the country’s bourgeoning vibrant tech scene. This was made known this week at the Google For Nigeria event in Lagos. According to the tech giant, about 200 Google Stations will be rolled out across the five cities to make the WI-Fi connectivity accessible to millions of Nigerians. The other cities expected to experience the roll out of the Google Stations before year-end are Abuja, Port Harcourt, Ibadan and Kaduna. Google said sites where the Wi-Fi hotspots will be installed are markets, transport hubs, shopping malls, universities and other places with high population density. The company also announced it was extending its Street Views into seven more cities Nigeria cities while the rest of Lagos state will be covered. Google Street Views will now be available in where the service is available in Kano, Ibadan, Kaduna, Port Harcourt, Benin City, Abuja and Onitsha. At the moment, the Wi-Fi connectivity is currently available at about five significant locations in Lagos. They are Ikeja City Mall (ICM), Computer Village, MMA2 Domestic Airport, The Palms Mall and Landmark center. Plans to roll out in more locations across Nigeria will further bring the Internet access home to millions of Nigeria. 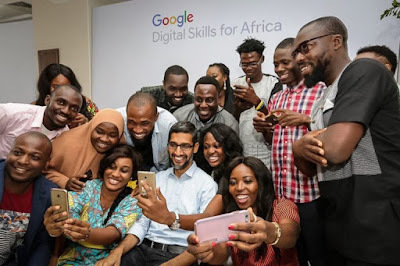 Country Director, Google Nigeria, Juliet Chiazor described the development as channel to help Nigerians and people in Africa better leverage the many opportunities on the internet. “Today, at our second Google for Nigeria event, we announced more products and programs to help more people in Nigeria and across Africa benefit from the opportunities the web has to offer,” she said. “We’re announcing Google Station for Nigeria: a program to provide high-quality, high-speed Wi-Fi hotspots in partnership with 21st Century, one of the largest fiber network providers in Nigeria. “Google Station will be rolling out in 200 locations in five cities across Nigeria by the end of 2019, bringing Wi-Fi to millions of people,” she added. She also reckoned that the initiative would help address issues of affordability and access to data as well as broadband penetration. Nigeria’s broadband penetration is only 22 percent. Government is aiming to up the figure to 30 percent by year end to further deepen the penetration. 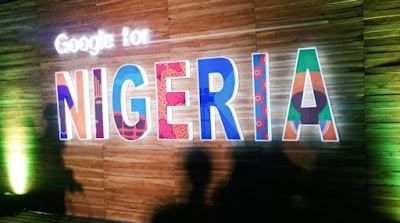 Nigeria is the fifth country where the Google Station will be launched, after India, Indonesia, Thailand and Mexico. NB: What we see as a good deed Google sees as a business opportunity.